Wow! Google’s executive cannot explain away why he was commended for his work in getting out the Latino vote “in key states.” He dodges, he shimmies, but Jordan holds his feet to the fire. The execs efforts were cringe-worthy (i.e., well worth watching). By the time I viewed the video at your link, it had already been flagged as possibly containing “Sensitive Material” and I had to click “View” to expose the video. >>I believed that Soros funded the Caravan, which triggered the concern for “National Security” which justifies Trump’s use of Defense funds to build the wall. I adore logic and you know how to pin it to the wall. Beautiful reasoning. That WAS pretty brilliant what Trump pulled. And it was mic-drop worthy when Trump responded to Chuck-U's snark comment of "Elections have consequences, Mr. President." "Yes, that's why the country is doing so well!" The other one was when Pelosi said: "we should have this discussion in private"
And trump responds:..."It's called transparency Nancy"
GREAT EYE TO CATCH THE COLOR CHANGES BESIDES THE DRESSES! THANKS! Yikes. That story hit home in a lot of ways. I didn’t know it at the time,(I was just a little kid) but I ran into people like that. Our family is mostly lunch box democrats. You could not utter the “R” word in our house. Attitude in the family still prevails today. My grandfather worked for the real Mayor Daley in city hall. One part of the patronage of your real job at that time was being a “precinct captain”. (TV\Internet\Cell Phone has taken over the precinct captain role today). My grandfather had the river precinct(s). I don’t remember what ward. These were essentially the Lathrop projects @ Diversey\Clybourn and Damen - might be too far south west for Charlie Weber’s old 45th ward. Weber died and and Daley moved the 45th ward westward. My grandfather stayed in that precinct (which I think became part of the 32nd ward)and I don’t remember what alderman replaced Weber. We lived in those projects. The rent was based on your salary. If you made too much, you had to go. I graduated high school, moved in with my grandmother and her pension and my salary was too much, but some how, we stayed. I think my grandmother had more juice than my g’father. The projects had a huge waiting list. Some how, my grandmother’s sister made it to the top of a list she was never on. I do remember putting voting packets and flyers together and schlepping through the neighborhood with my grandfather, climbing stairs, knockin on doors and handing out the flyers while my g’father preached to the choir. Voters in the river precincts were like herding cats. Voting-wise, they had a mind of their own. My g’father always carried his precincts. He gave old folks rides to the polls. He would get people bailed out of jail and the families were beholden to him. Helped paid some’s rent or groceries. He actually helped people to help them - year round. My grandfather was a straight arrow - chased Villa and was a WW1 combat vet, 5ft 2” and was tougher than chinese arithemtic... and I do not believe he tolerated shennanigans ( voter fraud ), but who really knows. Rumors were, the old close\open curtain via lever vote recording handle already had RAT votes in the RAT counter supposedly after the machines had been cleared and certified but before the polls had opened. Hey have some patience! I hadn’t gotten there to your explanation yet! When I saw it, I acknowledged it. With CAPS TOO I MIGHT ADD! Wow! Googles executive cannot explain away why he was commended for his work in getting out the Latino vote in key states. He dodges, he shimmies, but Jordan holds his feet to the fire. The execs efforts were cringe-worthy (i.e., well worth watching). By the time I viewed the video at your link, it had already been flagged as possibly containing Sensitive Material and I had to click View to expose the video. When I clicked on it, there was no sound available. I shoved the little dot up, as well as my computer control.... nothing. Thanks for the summary of what was said. In our post 479, the dress and the people in attendance - CBS and NPR posted pictures that are not from today - people, flower arrangement, Christmas decorations on the mantle are different or missing..
Suits me just fine for Trump to release bad girl from China if it pushes billions in trade (restitution) going forward for their steals of technology. Justice Department still messing with Trumps successes and burning his agenda? How dare they pull such a high jinx, in Canada, without telling the POTUS, while hes obviously engaged in high stakes negotiations? Treasonous snakes. Could this have happened without MI picking it up? 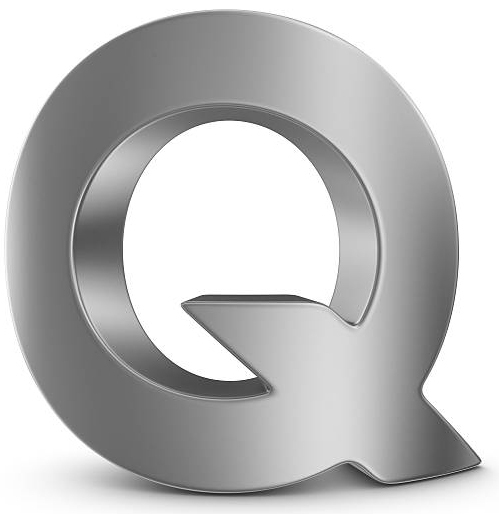 A form 10-Q is quarterly rpt mandated by US federal Securities & Exchange Commission, to be filed by publicly traded corporations. I’m betting when Google files their 10-Q we’ll see some interesting connections. last one: get ready to laugh..
“The most vigorous questions came from Rep. Jamie Raskin (D-MD), who confronted Pichai over a Washington Post report on conspiracy videos that plague YouTube. These videos, which he summarized as videos claiming politicians, celebrities, and other elite figures were sexually abusing or consuming the remains of children, are part of a conspiracy theory that suggests Hillary Clinton is killing young girls in satanic rituals. We used to have a wood stove in the basement, but when we finished the basement, the stove pipe area would no longer work. We are currently brainstorming how we could work around it. Since we have 2 fireplaces for heat, the wood stove is not high on the list, however we are currently looking at fireplace insert for our largest fireplace. The smaller fireplace is on the kitchen side, and can be used for cooking. Rep. Mark Meadows (R-NC), Chairman of the House Freedom Caucus, told Fox News’s Martha MacCallum on Monday night that there are three whistleblowers who have spent the past two years investigating the Clinton Foundation, and have “explosive” allegations which they will share during Thursday testimony on Capitol Hill. Texokie, this is another camera angle of the Jim Jordan hearing Google CEO re an email from the head of Google’s Multicultural Marketing Dept. re the CEO’s praise for the department’s efforts to get out the Latino vote “in key areas.” The CEO tries to dance away from this point but Jim always brings it back. Likely the others were from stock photo taken on another day.